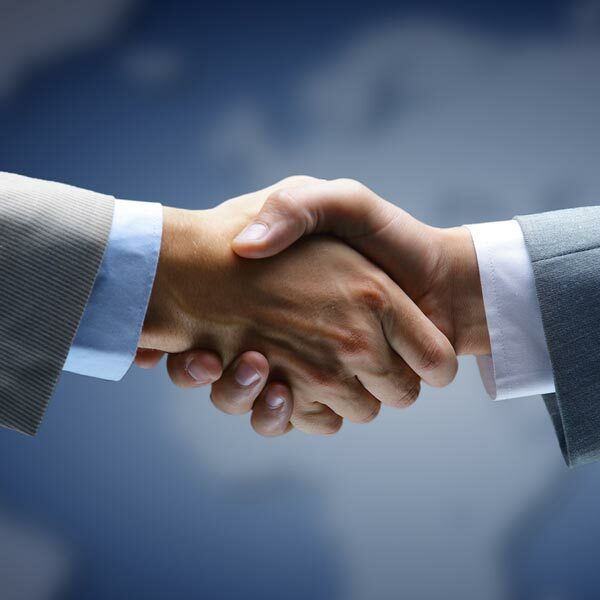 A partnership with Uniplex helps your customers to grow and ensures you ongoing workload. Only successful companies grow and expand with new ideas, websites, campaigns. 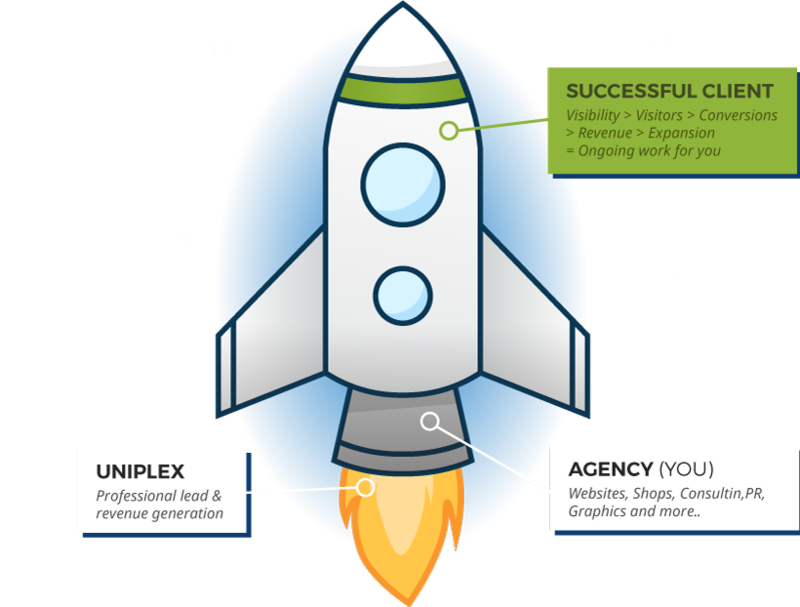 By having Uniplex as key revenue driver in the team, every agency gets itself even more successful with ongoing client work. Join Uniplex for a long term WIN-WIN-WIN partnership and make clients and your more successful. Why should i partner with uniplex? A wrong marketing costs money - but does not generate cash flow. We at Uniplex set the primary goal right here. As a partner of Uniplex, your customers receive a highly professional optimization and high-performance lead generation and recurring increasing sales. This healthy and positive development is also the basis for you as an agency, because only successful companies will be able to give your agency many further successor assignments in the long term. In addition to this core benefit, agencies also receive attractive commissions as well as discounted software licenses. Which companies can become a uniplex partner? Your business should be in a complementary area of online marketing, lead generation, SEO and SEA. So if you offer web pages, webshops, graphics, animations, web programming, etc. on a high professional level, you can complement our offer optimally. Simply call us for a personal conversation. By far the biggest advantage is that you will only have successful, satisfied customers and will always come to additional orders. In addition, you also get very attractive commissions, as well as reduced or even free software licenses (company identificator). How can i become a uniplex partner? Simply send us an e-mail using the form or call us. Everything else follows in a conversation. How can I start a project with uniplex? The easiest way is to have a concrete project, which should become a success. Contact us at an early stage, so that we can also set the course for online marketing early on. After a first project a partnership can become official - Then you have experienced how powerful PageGrid can be for your customer projects.